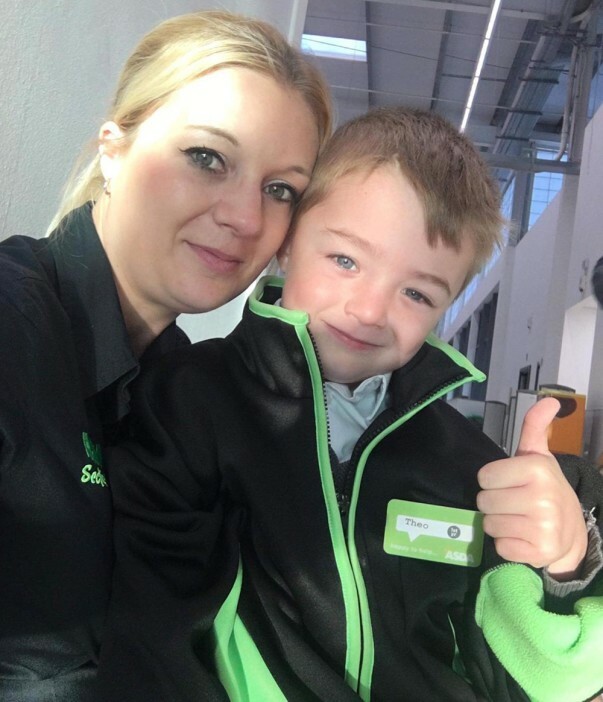 Six-year-old Theo Cook loved his day 'working' with him mum Charlie and stepdad Phil at our St Leonards-on-Sea store so much that he's been wearing the name badge they made for him when he goes to school. 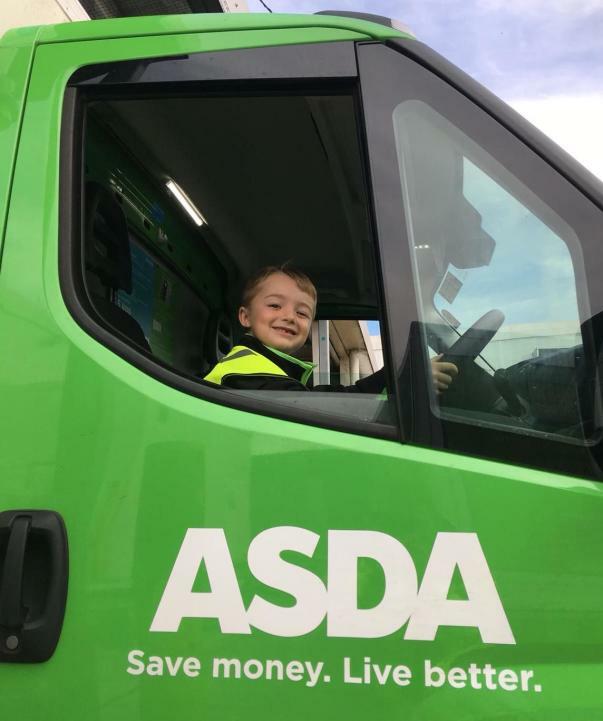 Theo had put on Charlie's work fleece when they called in at the store one day and, after a colleague suggested he sat at a checkout, Theo tried his hand at scanning shopping before visiting the pizza counter and sitting in one of our delivery vans. Charlie said: "Everyone knows him in the store. I think he genuinely believes he works for Asda. He's been wearing his name badge to school so he can show it to all his friends and his teachers. He wants to work in home shopping with me when he grows up." Charlie, who's 34, has worked at the store for three and a half years. She said: "I'd finished work and was nipping round the store to get something for dinner. Theo said he was cold, so he put my jacket on. 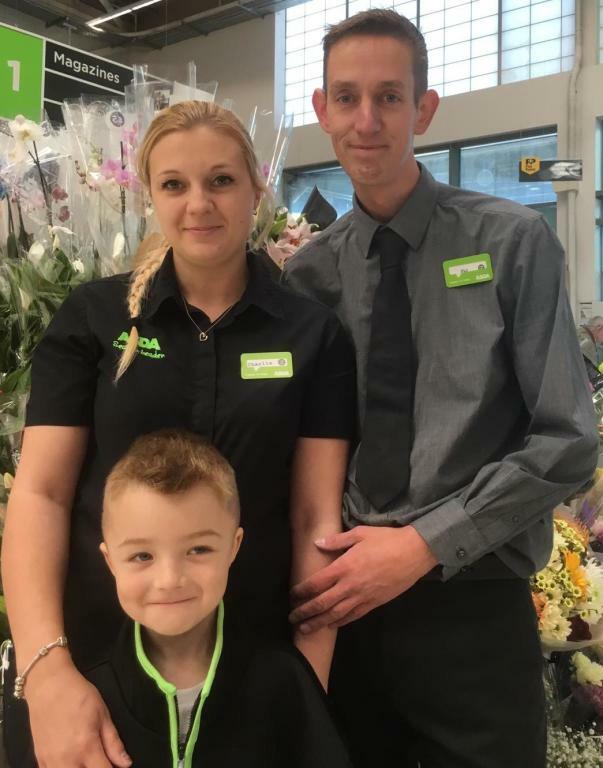 "One of the colleagues who was working as a queue buster suggested he sit on a checkout, he loved the idea so we took a picture and he looked like a little Asda worker. 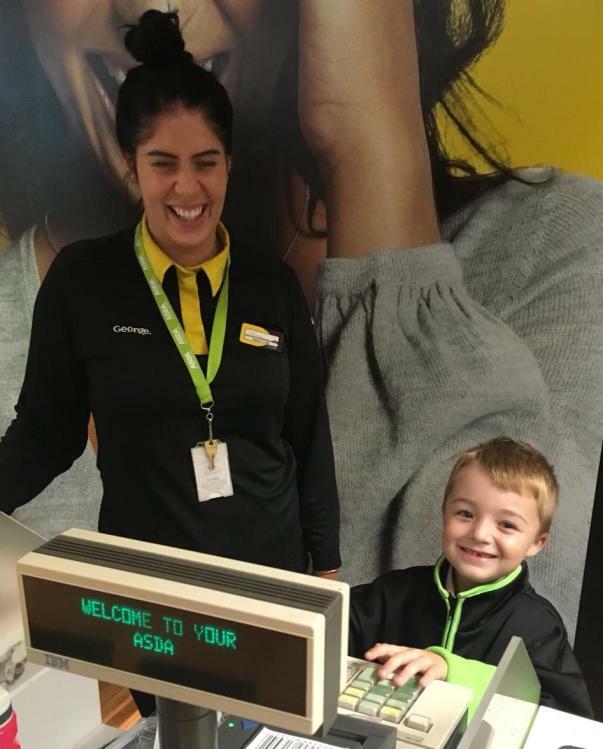 "We then got him a name badge and took him on a tour of the store which he absolutely loved. "Everyone has a laugh with him now when he's in. They ask him if he can work a shift and he says 'yes, but I'm a bit tired so I might be a bit late.'" "The other day he asked me when his Asda payday was. He's so much fun – he's really outgoing and funny." 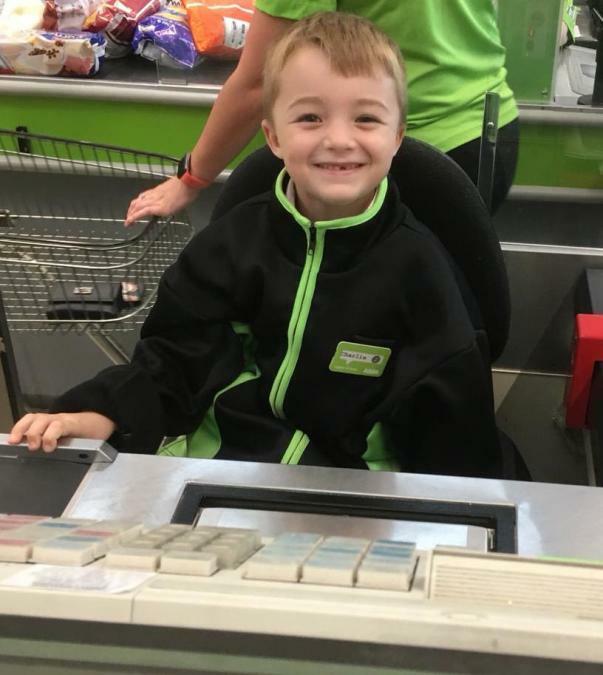 Phil, who's fresh manager and has worked at the store for seven years, said: "Theo looked really sweet sat on the checkout so I took a photo, and we decided he would really enjoy a full tour of the store. "So we cleared it with the deputy store manager, got Theo a name badge and he absolutely loved it. "One of the big lorries was in the yard and he loved sitting in that. 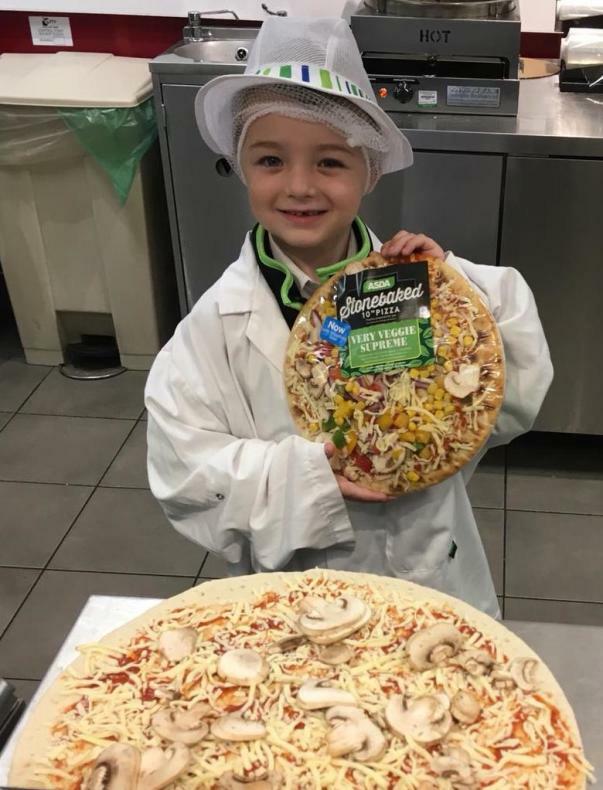 Probably his favourite part was making his own pizza on the pizza counter. When we're shopping, he always heads to the pizza counter and asks colleagues to make him a pizza, so I think he loved being behind the counter himself. "A couple of customers did a double take when they saw him in the uniform!"